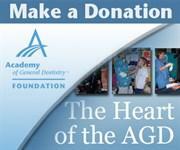 Wondering what the Academy of General Dentistry (AGD) is all about? The Academy of General Dentistry's (AGD) membership benefits cover all of the areas necessary to build and maintain a successful dental career. The AGD was founded by eight general dentists who were committed to lifelong learning and quality continuing education (CE). This two-day lecture and hands on program will provide detailed methods to improve clinical patient care and will demonstrate how endodontic therapy can be precise, predictable and enjoyable. Endodontics has evolved considerably in the recent past with the aim of improving patient satisfaction while improving the clinical quality of care. During this course we will focus on various aspects of endodontic care spanning from diagnosis and access to precision instrumentation and obturation. The emphasis is based on clinical management of patients with the goal of acquiring the knowledge base for rendering efficient and predictable endodontic care while reducing file separation, ledging and transportation. Leaving the cozy environment of an educational program and entering the wide world of employment can be daunting. This course will prepare participants to take the next step in their professional journey. This course consists of lecture and participation activity designed to expand doctor’s knowledge of sinus augmentation and GBR procedures. Emphasis will be on recognizing the clinical indications, understanding the biologic principles of these surgeries, exploring the latest techniques and materials available, and understanding the rationale behind these methods.